Publisher’s Note – I wish all the Mom-and-Pops had schedules like Living Waters located in Round Rock, Texas! Chris Johnson is building a base the right way, with knowledge, action and adventures. We meet at Pok E Jo’s BBQ in Round Rock for dinner at 6pm and then meet back at LWFF at 7pm for tying. Living Waters Afterhours is a standing event that will be held on the 2nd and 4th Thursday of every month from 6:00 P.M.-8:00 P.M. — the event is completely free of charge. The 2nd Thursday of every month will be a fly fishing worshop where we will key in on one specific topic such as this month’s: Targeting Rio Grande Cichlids. We will cover fly selection, fish location, presentation, and more. We will will dicuss each topic in great detail and there will be plenty of time for questions during and following the presentation. If there are any questions, please call the shop at (512) 828-FISH. Owner Rus Schwausch and head guide Ted Mendrek of EPIC Angling & Adventure will present two remote Alaska Peninsula operations. Alaska Wilderness SAFARI, the more sophisticated option, is written up in the book Fifty Places to Fly Fish Before You Die as “arguably the most isolated coastal fishing camp in Alaska and one of the best places in the world to pursue chrome-bright, ocean-fresh salmon.” And there’s a lot more to do than just fish – daily wildlife viewing, hiking, waterfalls to see and tide pools to explore. Alaska Wilderness OUTPOST is a rustic, early season camp offering excellent small stream fishing for rainbow trout, grayling, king salmon and more. Short on frills, this program is for the die-hard fisherman focused on quality fishing rather than extraneous amenities. You can find out more about these operations at www.epicanglingadventure.com. When: Saturday, April 12, 2012, 2:00 P.M. – 4:00 P.M. This presentation will cover access, techniques, fly selection, hatches, species availability and much more — and all as it pertains to Brushy Creek! 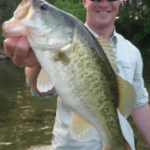 This little creek is Round Rock’s premiere fly fishery and can be incredibly productive when fished correctly! Come and learn some of our guide secrets and get an eye-full of fish pictures — Bring a notepad/pen as there will be plenty of time for questions and answers! Living Waters Afterhours is a standing event that will be held on the 2nd and 4th Thursday of every month from 6:00 P.M.-8:00 P.M. — the event is completely free of charge. The 4th Thursday meeting is held on the water at a local fishery of our choosing that will be announced in advance. (once the time change in the fall shortens the days, instead of meeting on the water, we will meet in the shop for tying/fishing clinics until spring rolls back around with longer daylight hours). This time is designed to help increase your general knowledge base of certain fishing techniques and situations. 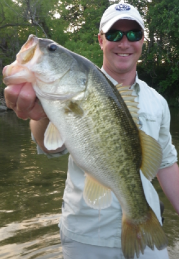 In May, we will meet at Memorial Park in Round Rock (Brushy Creek) to fish at 6:00p.m. and will fish until dark-thirtyish. Matt and Chris will be available to help “guide” anyone who desires coaching in fly selection, presentation, and sight fishing. This is designed to be an on-the-water learning experience and we hope to see you there! If there are any questions, please call the shop at (512) 828-FISH.